If you are an entrepreneur, you need to verify the authenticity of the information as stated by your employees. In these cases, a Verification of Employment Form is needed. When you hire a professional, you need to make sure that the information furnished by the person about his/her address, identity, and other aspects are genuine. So, you can check out these Sample Forms and get a concept about how these documents look like. The first section includes the name of the company, the employee and personal details of the person. The next section includes all the particulars like salary and working hours. The last section includes comments. In this form, information for the use by the company’s officials is used. 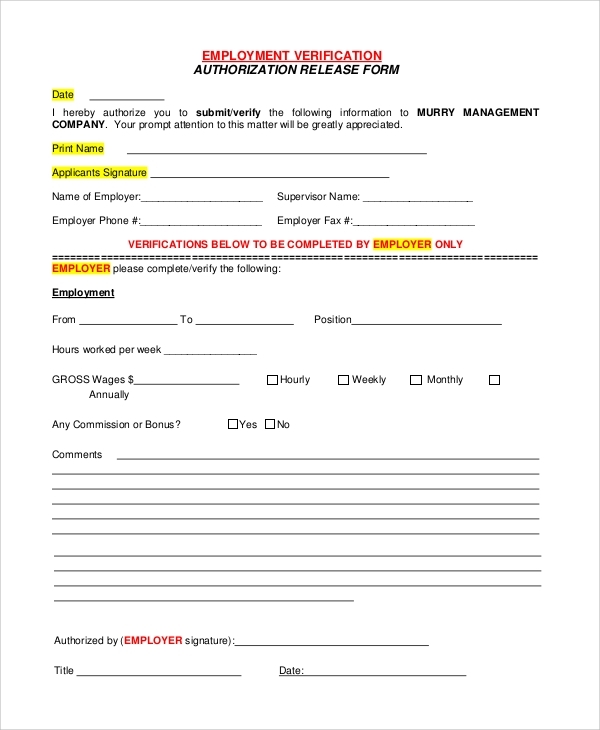 Next, the form has several blank areas to be filled up by the employee. 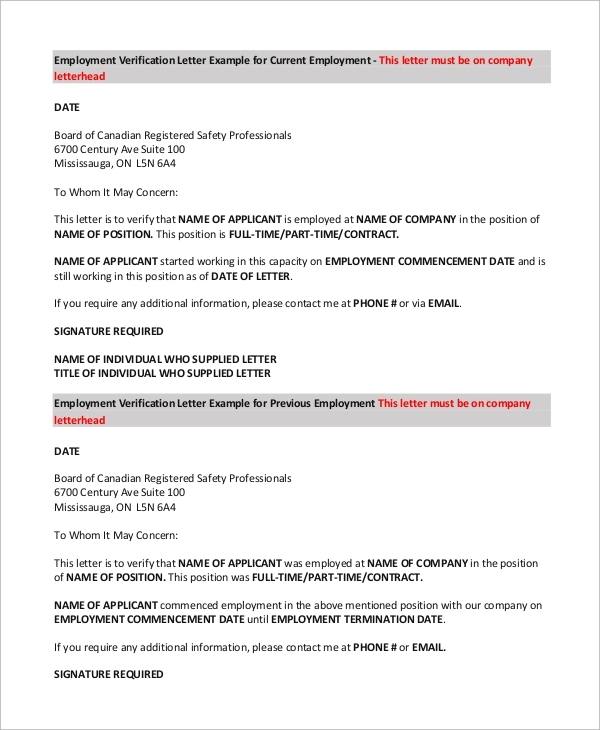 The contact details of the employee are included in the third section. 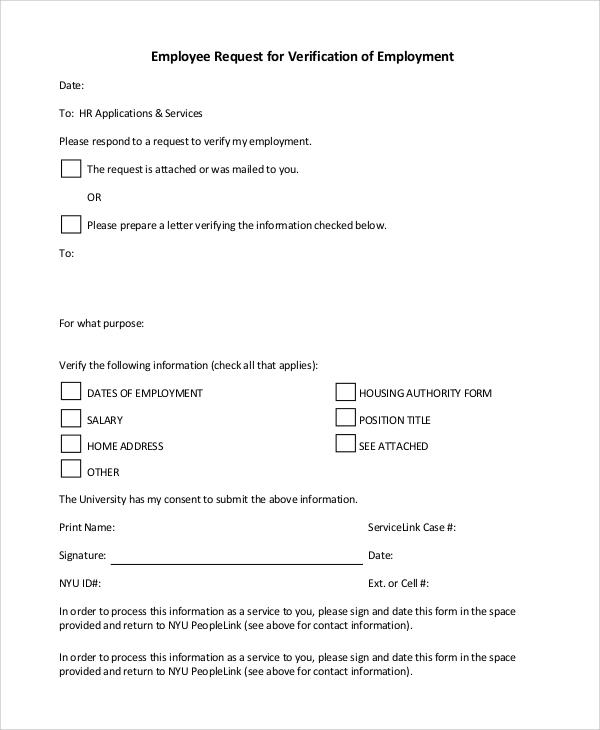 You can also see the Sample Application Forms. 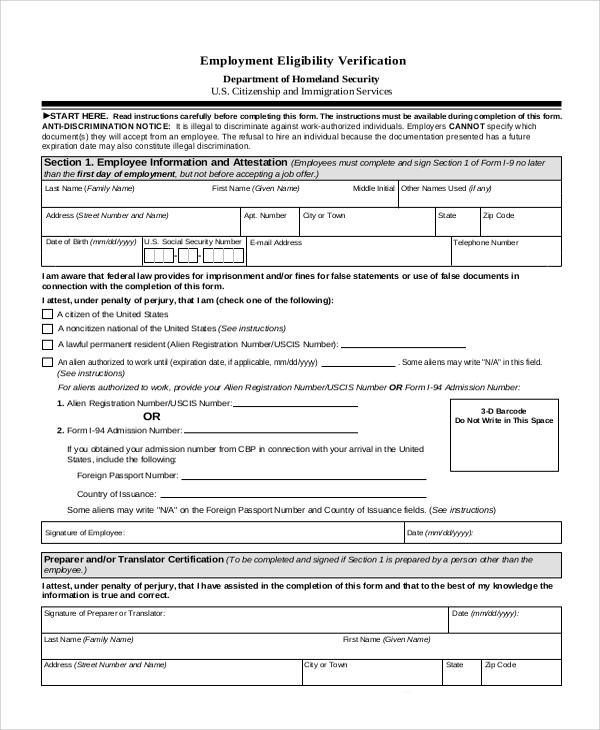 In this template, the authorization information is placed at the top. Then the other aspects like position, job title and date of commencing with the job are written. There is a section only for official use in the end. Employers need to keep track of the whereabouts of the employees for some reasons. The first reason is the security concern. If the employee vanishes after stealing valuable documents or tangible assets of the company, he/she can be tracked down to the address. Apart from these, the validity of the documents needs to be justified. There Sample Employment Verification Forms are cases when imposters create troubles and get away with valuable marketing data. To avert such situations, you need to verify whether the candidates are genuine and the documents submitted by them are valid. This ensures the security of the business in the long run. 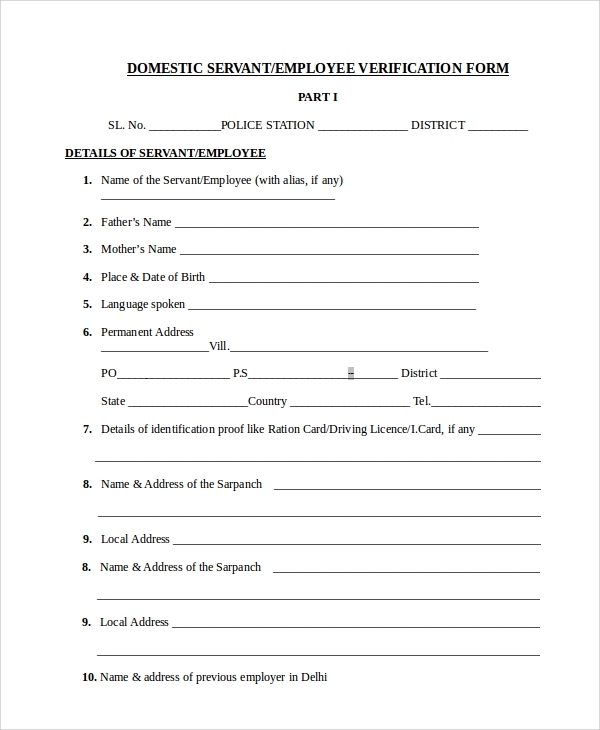 For the employment of domestic servant, the photo identity is required, and the form has a space for a photograph. The personal and contact details of the employee are written alongside. 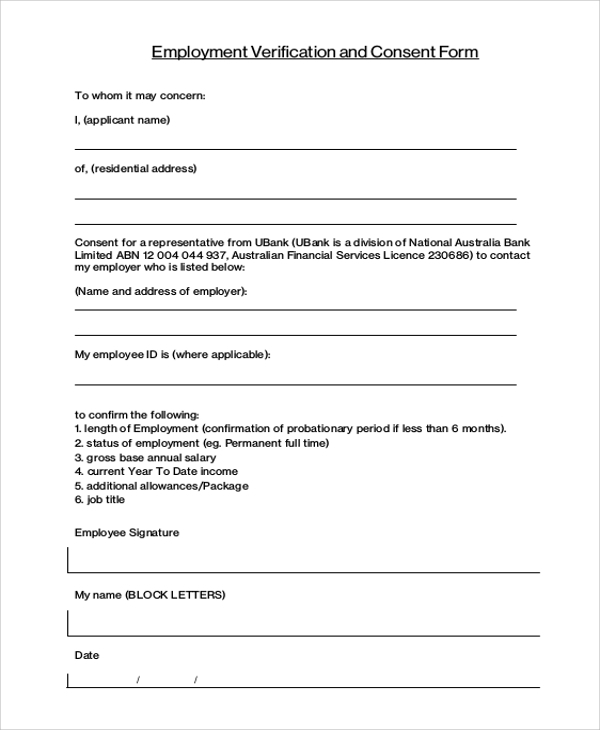 The name of the employee, date of birth and position title are specified at the top of the document. The educational and professional information is verified in separate sections in this document. 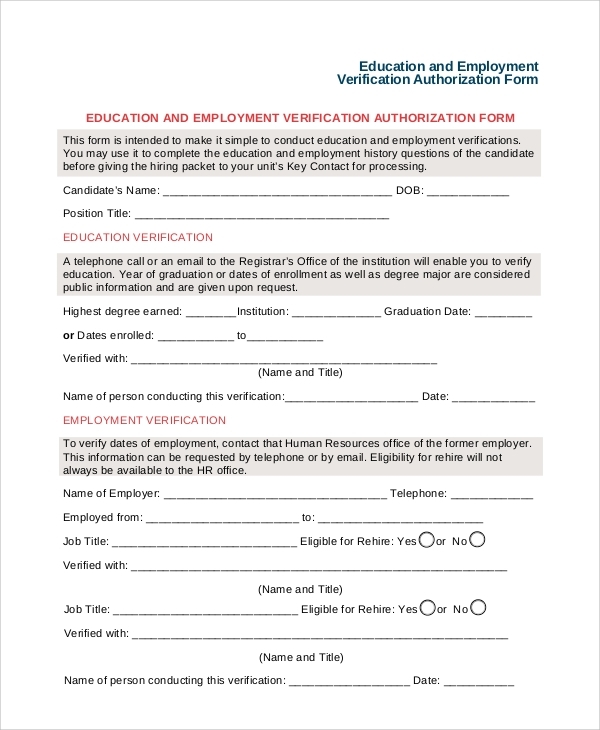 How is the Verification Employment Form Designed? The verification form may be mailed to the address of the applicant to ensure that the right address has been provided to the recruiters. The document contains space to accommodate all the personal and contact details of the employee. The name and personal details are followed by another section which is to be filled up by the applicant exclusively. 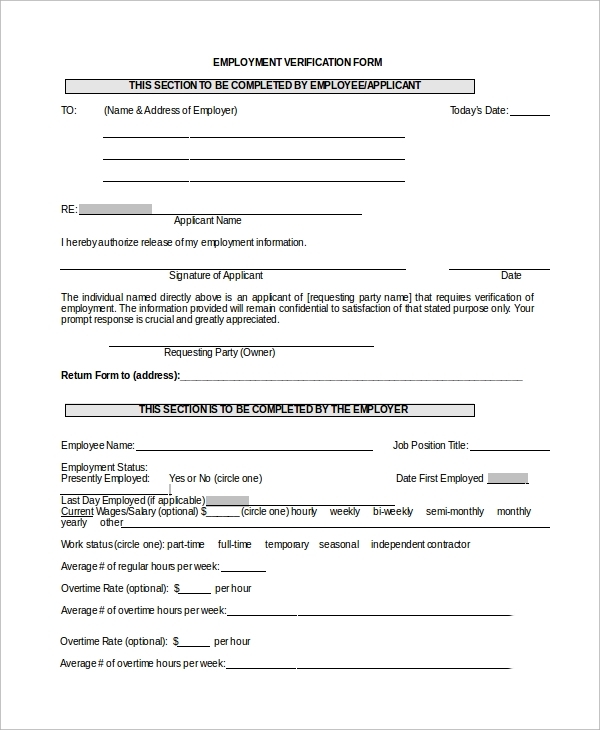 You can also see the Sample Employment Application Forms. This is done to verify whether the person is interested in the job or not. The salary, pay scale or wages are verified to ensure that there is no communication gap between the company and its employees. There is also a space for comments in the end. These templates are crucial when you hire new employees, irrespective of the industry. 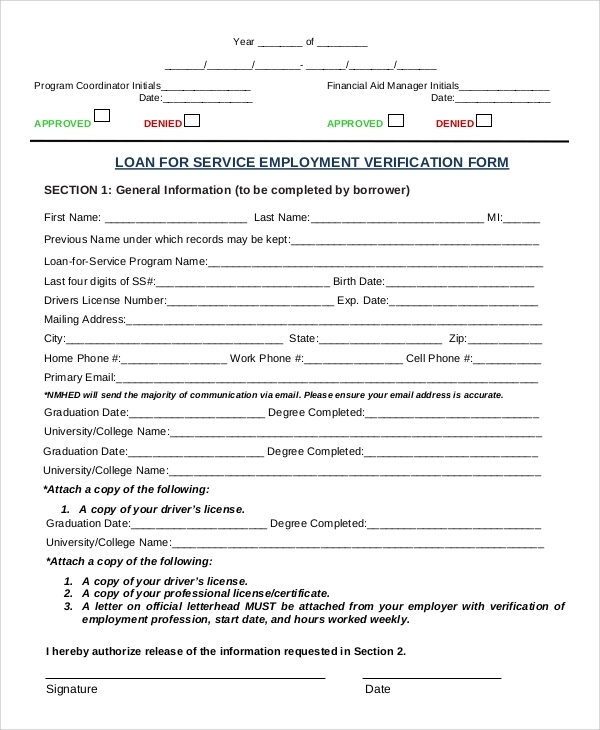 You can download other templates like Sample Application Forms, Verification of Employment form from the website. 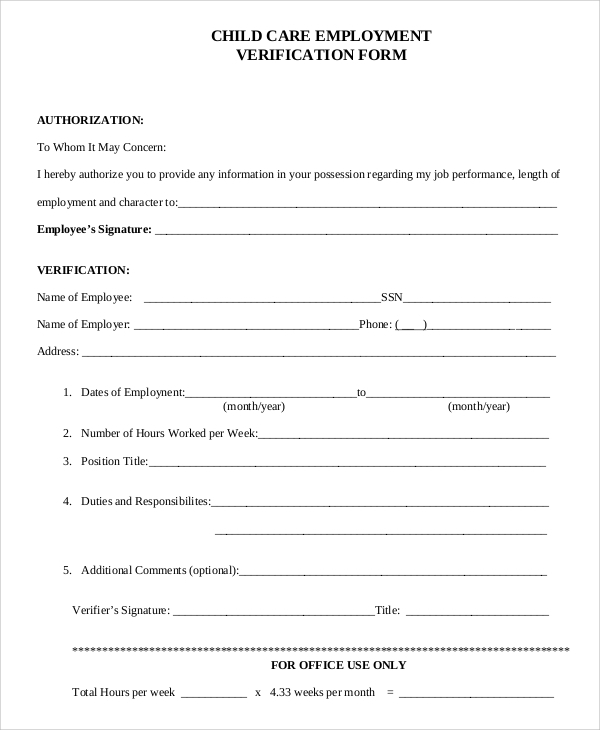 There are various formats of Sample Employment Verification Letters in the portal, and you can customize these as and when you need.